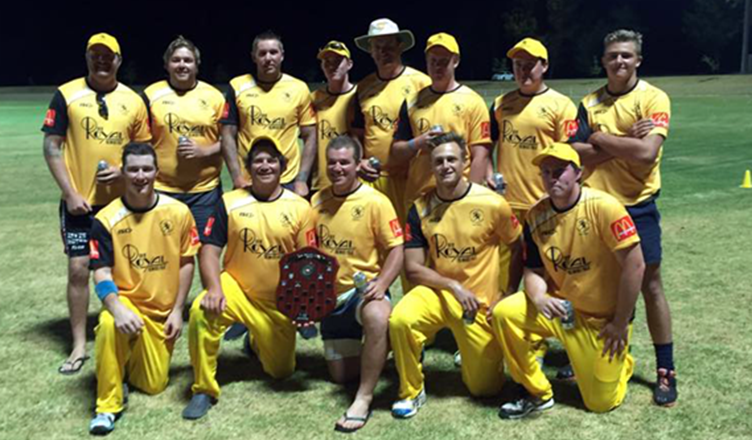 Royal Hotel are the premiers of the 2016 Kirinari T20 Big Bash after defeating Moxon’s in the final. Moxon’s batted first and finished with a total of 116 runs with. Clarrie Moran top scored for Moxon’s with 39 and he was ably supported by Kyle Taylor (21). Andrew Curry claimed 3/17 and Mat Jackson 2/14. Michael Dawson was the saviour for Royal with a knock of 54 not out. Dawson combined with Tom Toshack for a stand of 87 runs. Royal Hotel passed Moxon’s total with an over to spare.